If the SL63 or SL65 still isn’t enough, you might want to hold out for the Black Series that’s anticipated for next year. For those who missed out on the SLR supercar, it may bring similar performance and exclusivity to the three-pointed star. The SL’s new look isn’t to everyone’s liking, but in AMG guise, it’s now more punch than paunch—and a worthy stealth Ferrari-chaser. This conclusive review of the 2009 Mercedes-Benz SL has been compiled by TheCarConnection.com’s car experts after consulting all the competitive reviews. TheCarConnection.com also drove the new Benz SL, and we offer our expert opinion to help you navigate through the reviews, read about the details that matter, and decide where opinions differ. The 2009 Mercedes-Benz SL is the German automaker’s top-of-the-line convertible, save for the ultra-exclusive SLR Roadster. The SL-Class has been given a midcycle refresh for 2009, with various styling changes and equipment improvements across the line, along with a redesigned instrument panel and new steering wheel. More noteworthy changes grace the high-performance AMG version: the SL55 AMG is now replaced by the SL63 AMG, which gets a new 518-horsepower, 6.2-liter V-8 and seven-speed transmission. A revamped SL65, with an AMG-tuned version of the SL600’s supercharged V-12, will be available later in the model year, and an ultimate-performance Black Series is on the way. According to reviewers, the changes to the AMG versions mean that these cars take a larger leap in performance from the standard-issue SLs, and they have dramatically different driving experiences than the SL550 and SL600. Each of the models still offers a surprisingly comfortable, absorbent ride, along with great seats and top-of-the-class safety. Also, the innovative Airscarf feature, previously only available on the smaller SLK roadster, is now an option on the SL. Mercedes added a little more flair to the 2009 Mercedes-Benz SL’s conservative appearance with these midcycle styling changes, but even in AMG trim, it won’t turn heads like a Porsche 911 or Audi R8. Meanwhile, the AMG versions get enough styling for spotters to easily differentiate them from standard SLs. 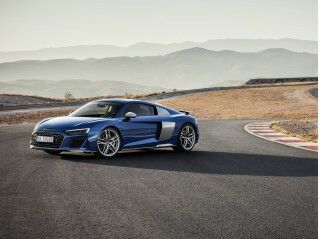 Differences include a lower air intake in front, a bolder grille design with reshaped headlights, twin power bulges for the hood, special side skirts, and a different rear fascia. “That you're in the AMG version won't go unnoticed by the impoverished who can only afford Porsche Boxsters,” said Road & Track. The 2009 Mercedes-Benz SL is a luxurious and perfectly good grand tourer, but if you want an edgy performer, you should focus on the AMG models. We had no problem finding reviews that extensively covered the high-performance SL63; however, only a few reviewers had spent significant time with the SL550 or SL600. Car and Driver noted that the V-12 versions of the 2009 Mercedes-Benz SL come with a five-speed automatic rather than a seven-speed but had no complaints about the five-speed’s performance. Each of the transmissions includes Touch Shift manual control and paddle shifters, along with comfort, sport, and manual modes. Reviewers of the SL550 complimented its responsive V-8, while the more powerful SL600 didn’t get quite as many good words because, explained Car and Driver, turbo lag could sometimes be an issue when driving on roads with tight switchbacks and wherever there was a need to quickly get on and off the throttle. 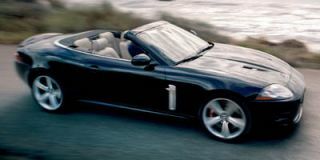 Car and Driver estimated a 3.6-second time to 60 mph for the SL600 and 4.9 seconds for the SL550. The big SLs generally handle much better than might be expected for a vehicle that weighs up to 4,555 pounds, depending on the trim, thanks in part to the second-generation Active Body Control (ABC) system. “ABC does a remarkable job of keeping body roll completely snuffed while soaking up all but the most torrid impacts,” said Car and Driver. ABC includes a Sport mode that tightens handling up even more and can lower ride height at higher speeds. Big four-channel anti-lock brakes keep the 2009 Mercedes-Benz SL’s speed in check. Car and Driver called them “completely fade resistant," but said that they “felt a touch artificial as the hypersensitive anti-lock system constantly fiddled with the brake pressure at each wheel,” especially on rough surfaces. The SL600 gets larger brakes to match the power, but several reviewers reported that they seemed taxed on mountain grades. “On mountainous portions of our test route, and despite a liberal use of engine compression braking, we still noticed an excessive smell of brake materials on the SL600,” reported Leftlanenews.com. Although TheCarConnection.com hasn’t yet driven the 2009 Mercedes-Benz SL, our prior experience comparing the SL550 with the SL55 AMG, which the SL63 replaces, confirmed that the differences are way more than skin deep; with slightly different tuning to the steering, brakes, and transmission, it’s not simply a case of a more powerful engine stuffed in. The SL550—and SL600 especially—aren’t the kind of cars that beg to be driven hard, but the AMGs are. An excellent body structure and standout powertrain refinement assure a high-quality driving experience in the 2009 Mercedes-Benz SL. In several experiences with the previous SL, TheCarConnection.com found the top arrangement incredibly tight to make an interior that was quieter and more refined than most coupes. 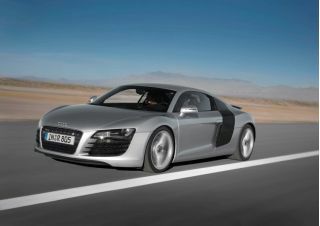 However, interior materials were a little disappointing compared to rivals, as they have been in several other recent M-B models. Reviewers didn’t have much to say about the 2009 Mercedes-Benz SL’s interior construction, so we’re assuming no news is good news. 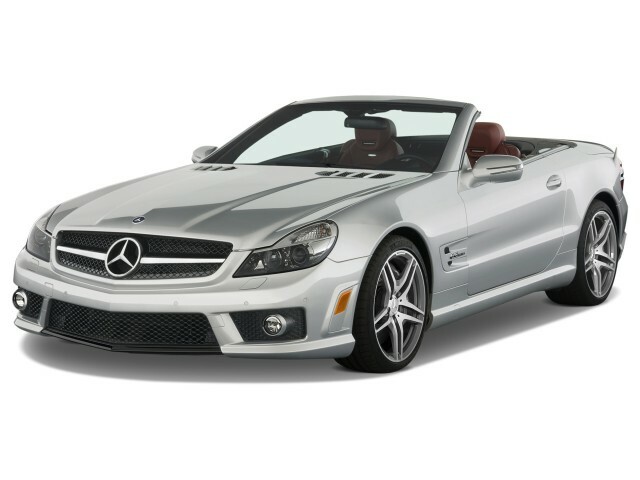 The 2009 Mercedes-Benz SL is about the safest you can get in a car that has open-air capabilities. The 2009 Mercedes-Benz SL has not yet been tested by either the federal government or the insurance industry—neither have previous model years—and based on its low sales volumes and high price, it’s likely that it won’t be. Awesome features like Airscarf, the trick top arrangement, and dreamy seats prove the 2009 Mercedes-Benz SL has what matters to those into top-down touring. All 2009 Mercedes-Benz SL roadsters come about as well equipped as any other car in its class—with amazing, highly adjustable seats, good navigation systems, and plenty of creature comforts—but with some additional high-technology equipment, as Mercedes-Benz tends to pioneer. One example is Airscarf, a feature that’s been available on the SLK for several years and makes its debut in the SL for 2009. 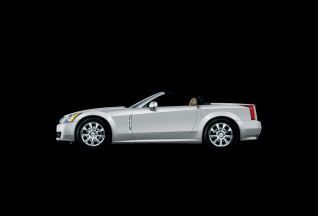 The clever arrangement brings warm air to your neck while driving in cold-air climates, allowing you to keep the top down on low-temp sunny days when you wouldn’t otherwise. All 2009 Mercedes-Benz SL roadsters include Mercedes-Benz’s COMAND system, a screen-driven interface that allows easy access to navigation and audio functions, and the panoramic glass roof and Parktronic parking aid are now standard equipment on the SL600. But when talking about features, we can’t forget about the hydraulic power-folding hardtop roof, which can completely open or close in only 16 seconds. “The mechanized roof is truly an engineering marvel, still stopping spectators in their tracks to watch it accomplish the task at hand,” said the Leftlanenews.com reviewer, who advised shoppers to note the smaller trunk space with the top down. One of TheCarConnection.com’s most memorable drives in recent years was an early sunny summer morning trip through Oregon’s Cascade Mountains. The temperature couldn’t have been much more than 50, yet with the heater blowing at our feet and the Airscarf feature turned on, it was invigorating. We can’t wait to test this feature on an 2009 Mercedes-Benz SL.